Wyland! Set of 15 Assorted Post Cards Depicting 15 of the Artist's Wonderful Works! This is a set of 15 assorted post cards by acclaimed marine life artist, Wyland! 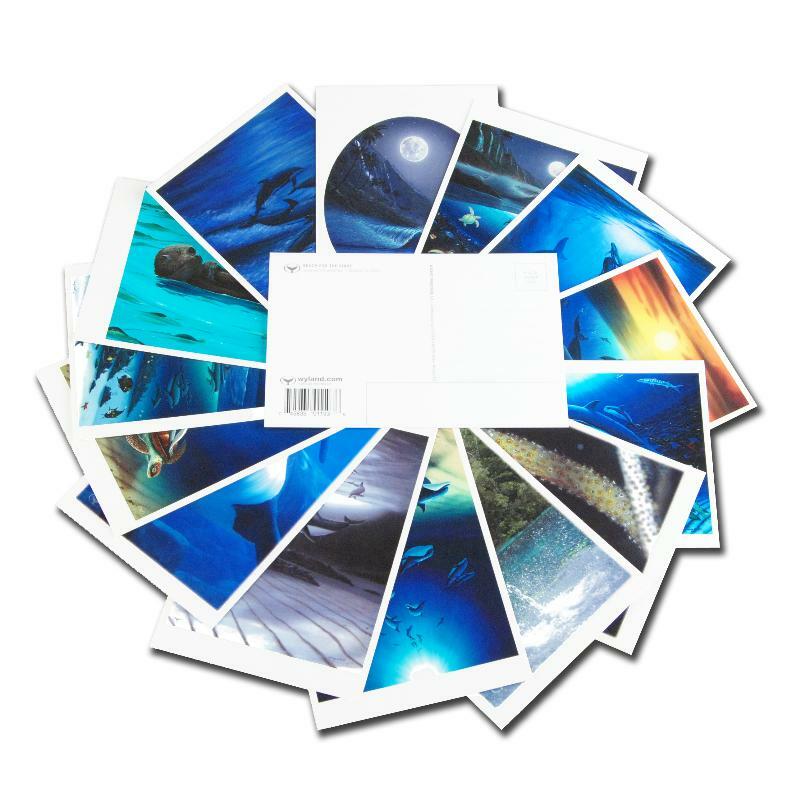 This assortment is randomly selected with each print depicting one of Wyland's magnificent works. Each post card measures approx. 6" x 4".